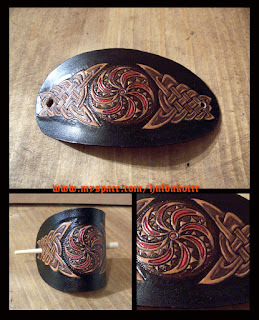 A Viking hairclipper for now. This one is inspired by the stone found in Gotland in the 7th century CE, depicting a Fylfot. We choose to add two side knots, making the final design abit more stylized.